Why is a Multidisciplinary Concussion Management Team approach so important? 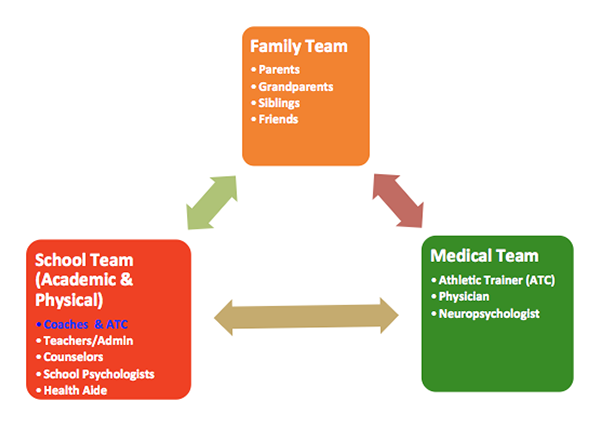 Who is on the Family Team and what is their role on the Multidisciplinary Concussion Management Team? Report any change in behavior such as irritability, depression, social withdrawal, and/or more emotional then normal. Who is on the Medical Team and what is their role on the Multidisciplinary Concussion Management Team? Who is on the School Team and what is their role on the Multidisciplinary Concussion Management Team? Provide classroom adjustments that would help the concussed student control or not exacerbate symptoms. Provide classroom and academic adjustments that would help adapt the concussed student be successful in the classroom during recovery. Monitor Progress and share information on teacher observation, symptoms noted during class, and academic performance. Continue to keep concussed student out of physical activity such as physical education classes or sport practice. Observe and share information on physical symptoms, mental status and energy/fatigue during the day. The Multidisciplinary Concussion Management Team is the safest and best practice to monitor and manage a concussed individual. The team communicates and collaborates with each other to determine when it is safe to return to play. The members and involvement of professional will vary according to each concussion case and the resources available. 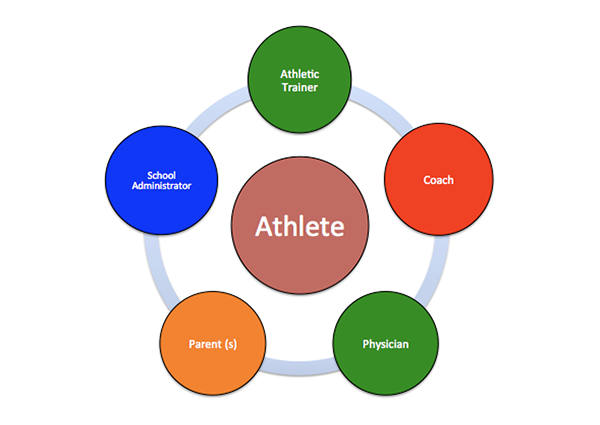 The main point is that the information between the medical, family, and school are communicated and collaborated to determine what is best for the concussed individual. Baker, J.G., et al., Principles for return to learn after concussion. Int J Clin Pract, 2014. 68(11): p. 1286-8.